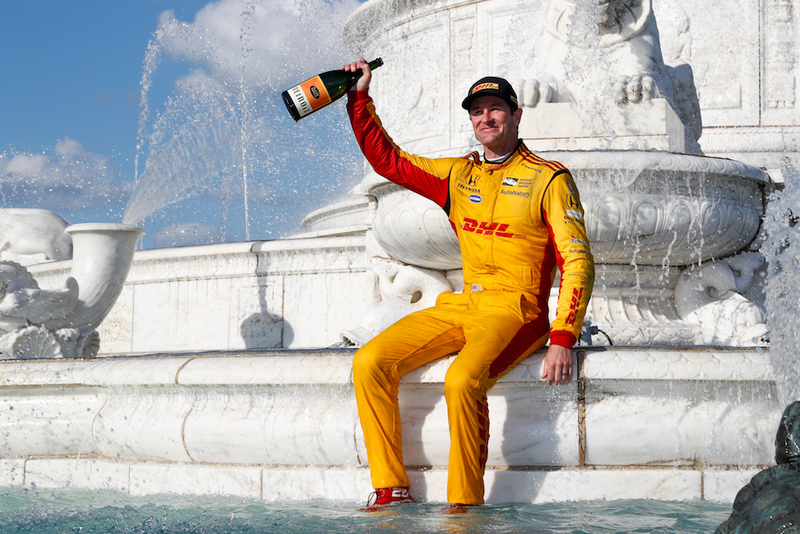 Andretti Autosport's Ryan Hunter Reay celebrated his dominant victory at Sunday's IndyCar Chevrolet Detroit Grand Prix by jumping into the James Scott Memorial Fountain in Belle Isle Park. As it turns out, he had made a promise to do so earlier during the week. The "Detroit Double," as they call it, was filled with many unexpected surprises, such as a General Motors executive crashing a $120,000 Corvette ZR1 during the race's parade lap, but Hunter-Reay's choice of celebration came as a "refreshing surprise." According to this video, the American racing driver had promised the folks at WXYZ Detroit that if he won either Saturday or Sunday's race, he would plunge into the frigid waters of the iconic Detroit fountain. 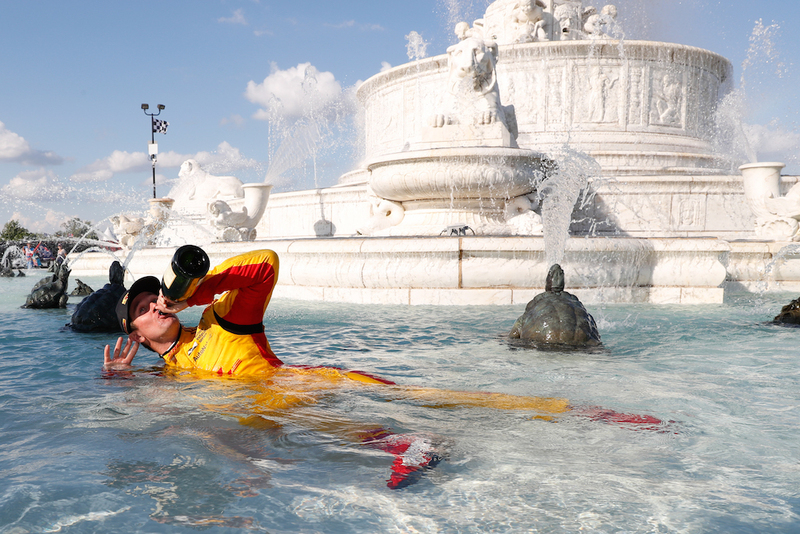 "He promised the local ABC affiliate that he would jump in the James Scott Memorial Fountain, which is nestled in the track here on Belle Isle, if he won the race. And he made good," said an IndyCar spokesperson. Hunter-Reay lived up to his nice-guy reputation by showing fans and colleagues alike what to do when someone makes a promise. Although he appeared to stutter for a second due to the temperature of the water, he didn't think about it twice before laying down to pose with his bottle of champagne for the many photographers near the fountain. The Andretti Autosport racing driver climbed from his starting position of 10th to second place during the race, only to force his teammate and race leader Alexander Rossi into a mistake in the closing stages of the race. Hunter-Reay's pressure ultimately paid off and earned him the 17th race of his IndyCar victory.